Make a personal design statement with the Polaris P098 ensemble; a vessel-sink and waterfall-faucet combination. 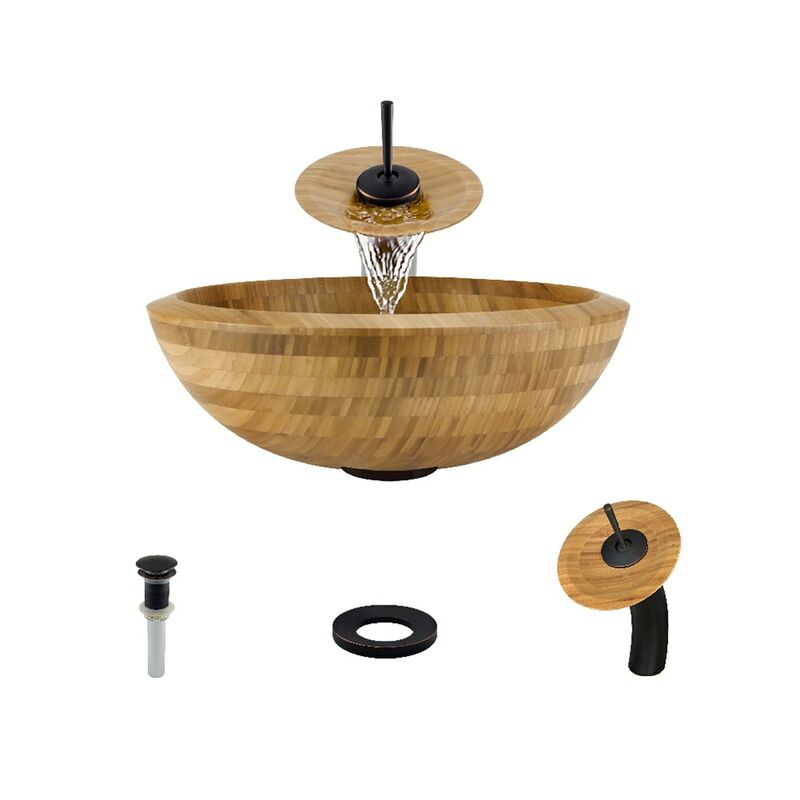 Polaris bamboo vessel sinks are formed by layering lush strips of natural bamboo into an exquisite pattern. Although inherently durable, the bamboo is laminated to ensure its complete waterproofing, and to preserve its soft amber tones. The waterfall faucet features solid-brass construction and a matching bamboo disc, over-which water lightly cascades into the vessel bowl. Water flow and temperature are easily controlled with the extended swivel handle. The ensemble includes a specially-designed, vessel pop-up drain that springs into place with a gentle touch. A matching sink ring is also provided for support of the bowl – required for the above-counter installation. Available in your choice of Brushed Nickel, Chrome, and Antique Bronze finishes. Limited Lifetime Warranty.